I hope everyone had a fabulous Easter! Ours was pretty quiet. We spent Friday at Marcel's aunt & uncles place and the rest of the weekend was just the four of us. My parents are in Australia, so we will do Easter with them next weekend. 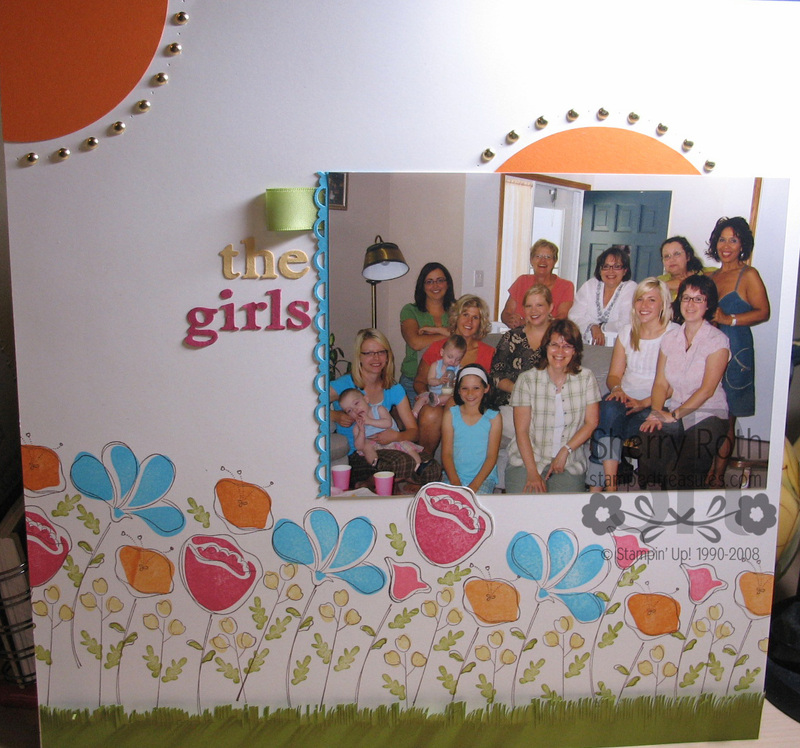 I thought I would share with you today a scrapbook page I put together the other day while I had the Awash with Flowers set out. Clear mount stamps sure make two-step stamping easy so this border along the bottom came together really quickly. To get the brads evenly spaced around the circles, I used the paper piercing part of the Pick a Petal brass template, then inserted gold brads in every other hole. I plan on adding a bit of journaling just below the title and then the page will be complete. Don't forget that you can get this Awash with Flowers set FREE by having a qualifying workshop but you only have until April 30th!